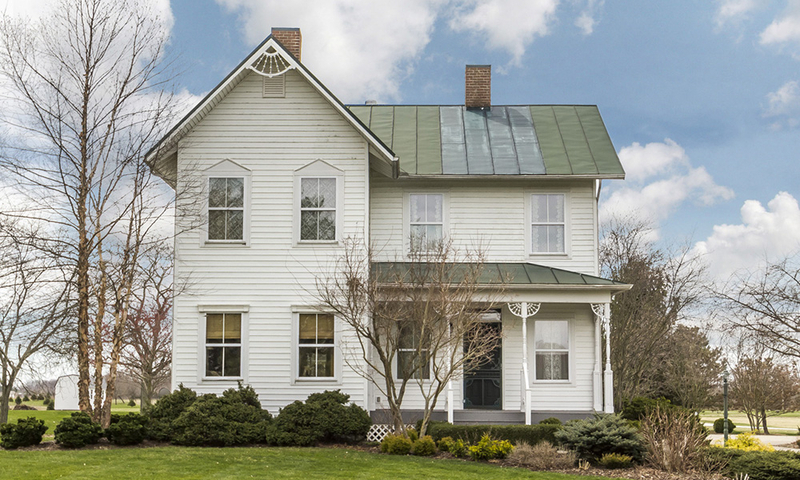 OUTSTANDING one of a kind custom farmhouse designed in the style of turn of the century homes. Attention to every detail. Enjoy all of the charm of an older home with the creature comforts of a newer home. Poplar hardwood floors throughout, custom woodwork, butlers pantry, Master bath with claw foot tub and walk-in shower, Large 13 course lower level, front and rear porches overlook the 5-acre corner lot on private country road. Large barn offers storage and can be parked in. Owner has taken fastidious care of this gem.